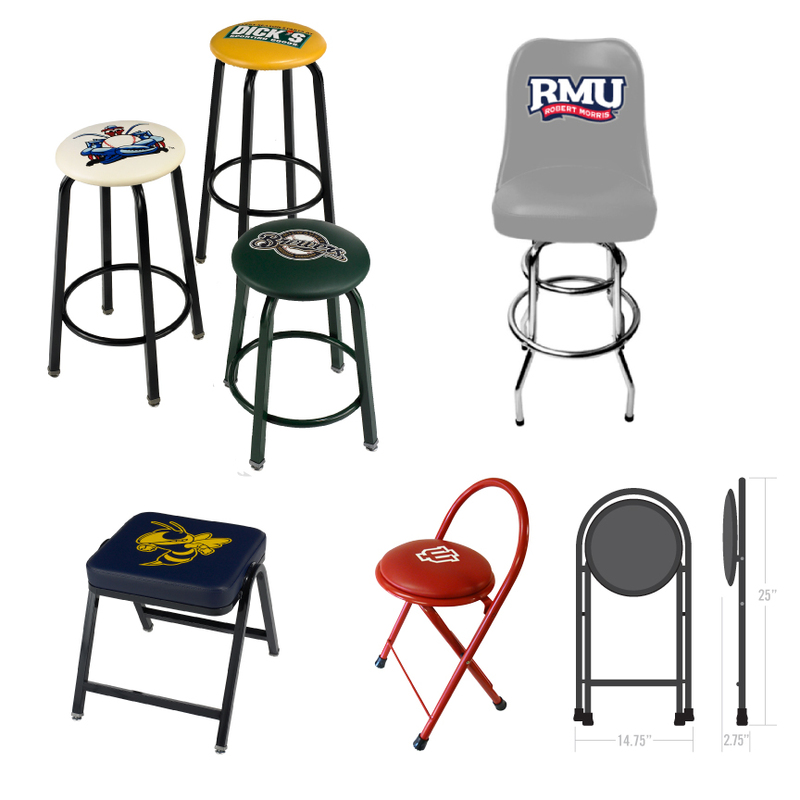 If your team or school is looking for logo stools, we have any type you’re looking for! From 18? tall, up to 30? tall and sizes in between, we have the logo stool for you, and we have the quality logo printing that goes with it. These stools are perfect for any teams locker room, and for time outs on the court. And with customization the way you want it, we’ll supply you with a great addition to your team. Our professional staff can assist you with your logo design, color scheme, frame and vinyl colors. And our logo stools are priced far below any other dealers prices, because we are the only athletic seating dealer that does the printing themselves…all others are just “middlemen”, who job out, and usually out of the country! If you need logo stools, we’ve got ‘em!